The new Cisca Easy Saltpipe is a portable dry salt inhaler that helps to ease the symptoms of summer allergies. 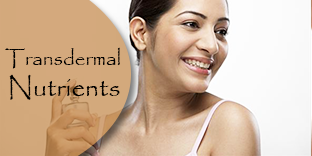 It provides all the natural benefits of salt therapy, an age-old treatment for respiratory problems, in which dry aerosol micro-particles of salt are used to ease symptoms of a wide range of respiratory diseases and ailments. Since the 19th Century, people have visited naturally occurring salt caves and salt mines to reap the benefits. Today, the Cisca Easy Saltpipe allows you to experience this effective natural therapy for yourself. A light, palm-sized device that fits easily into your pocket or handbag, the Cisca Easy Saltpipe provides relief from hay fever symptoms, even when you’re on-the-go. Users simply place the Cisca Easy Saltpipe into the mouth and inhale normally, exhaling through the nose. The moisture of the moving air absorbs the microscopic particles of salt, allowing it to penetrate the entire respiratory tract. It works by drawing excess fluid from the sinuses and cell lining, cleansing the nasal passages and opening the airways to relieve the main cause of congestion and irritation. 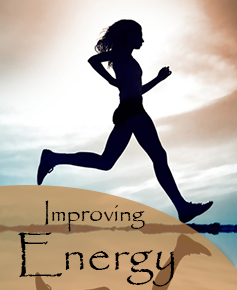 The salt has thinning effect on mucus, helping you to clear it naturally and breathe more easily. While over-the-counter medicines can cause drowsiness and are not an option for groups such as children or pregnant women, all Cisca Saltpipes are 100% drug free, can be used alongside other medication and by children aged 3+. What is the Cisca Saltpipe? It is a salt inhaler invented by 2 Hungarians--Mr. Bundai and Mr. Bekefi--for providing convenient way to improve and maintain your breathing at your home. A unique mobile Salt Therapy device in original patented designed called " The Cisca Saltpipe" provides an affordable and a convenient way to obtain the advantages of salt crystal therapy. Cisca collect the special salt crystals and fit them between ceramic filters in a unique, use-anywhere hand-held device. The instrument contains Halite mineral salts that have originated in the most famous caverns of Tapulca in Hungary and Prajd in Transylvania where for generations they have been used to successfully treat all kinds of respiratory disorders. 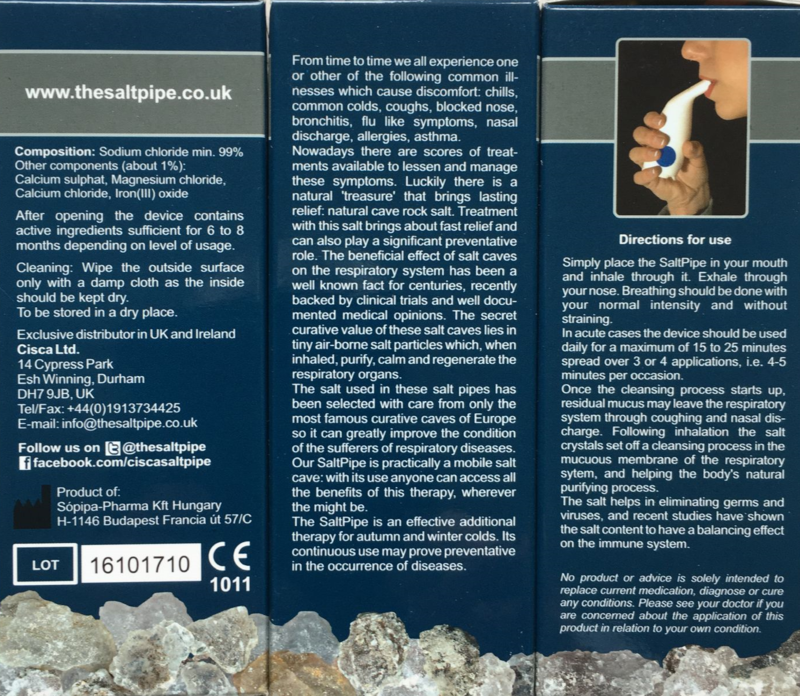 Breathing through the Saltpipe will draws air across the minerals, the beneficial effects of which then reach every microscopic aspect of the respiratory system. Major respiratory disorders such as asthma, allergies, sinus problems and bronchitis are all associated with air pollution. Studies have found that allergic diseases are an increasing problem in Western Society and reports show that approximately 20% of the UK population (and about 75% of those with asthma) suffers with some form of rhinitis. In order to maintain a healthy lifestyle it seems logical that we should cleanse our respiratory system just as we do with our skin and hair. The Cisca Saltpipe® is a simple and natural way to make a real difference to your health. It uses the benefit of from ancient salt-cave therapy to maintain an optimum respiratory function and to help you to breathe easier, alleviate sneezing, coughing, shortness of breath and leaves you feeling revitalized. Salt crystals have been used for decades in the treatment of respiratory disorders and to help strengthen the immune system by cleansing the lungs allowing them to absorb more oxygen.